If I’m being honest, building blocky replicas of real-life places in a digital environment is unlikely to ever make it to the top of my bucket list. It’s also one the of the many reasons I won’t be getting a job with Minecraft‘s PR department anytime soon, but I digress… Last week, I was fortunate enough to be in the beautiful city of Barcelona for mySociety‘s second conference on the impact of civic technology around the world, TICTeC. And while you expect people to give talks on SMS initiatives or online platforms for problem reporting, the civic use of Minecraft was new to me. The Block by Block partnership between UN-Habitat and Mojang (the game company) shows how technologies can be repurposed or redeployed for very different purposes than initially intended. Block by Block promotes involvement in urban planning among groups not usually represented in other, more traditional forms of urban planning. Community fora, council meetings and discussions with developers can be intimidating even for the most politically active and civic minded, so Block by Block attempts to bring in new voices through the less threatening, more playful use of Minecraft. In so doing, it attempts to shape urban development in ways that reflect the desires of many in the community, rather than the self-selecting powerful few. And although the programme is focused on improving urban spaces in places such as Rwanda and Haiti, it is an approach that many other countries, including the UK, might replicate to great effect. 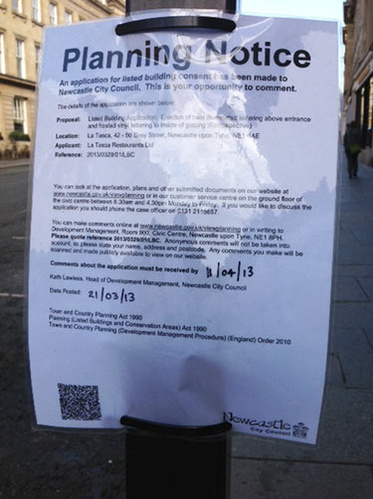 For the majority of people in the UK, the sum total of their involvement with urban planning comes in the form of pieces of A4 paper tied to lampposts or nailed to trees. It doesn’t excite or involve and it’s a hit-and-miss affair as to whether or not you’ll spot the piece of paper and it’s 12-point type. In fact, I’m ashamed to say that the most transparent aspect of the whole process is the laminate that it used to protect the flimsy paper from the British weather. The participation of marginalised groups in civic tech projects is related to the marketing channel used. Personalised and face-to-face marketing are more likely to result in participation, rather than generic messages. Mobile civic tech does not make unresponsive governments or institutions responsive. Indeed, one of the most potent weapons in the unresponsive MP’s arsenal is non-participation. If citizens don’t hear anything back, they are unlikely to use the service again – something which can derail even the best designed platforms for civic engagement. Ensuring true user anonymity can help increase confidence and trust in a platform. In countries where airing your views publicly might be frowned upon or even dangerous, users of a platform need to know that they will not be identified. Although cost and access to technology are real barriers, increasing the cost of a civic tech service does not make marginalised communities more likely to stop using the service than other groups. So, while increased costs result in lower levels of participation overall, marginalised groups are not disproportionately affected. This has important practical implications for civic tech groups looking to make projects sustainable through charging.